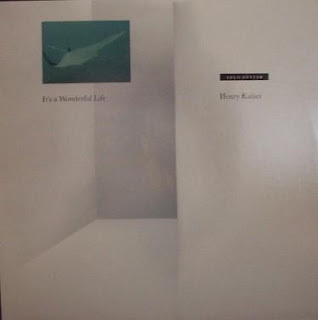 Dopo Outside Pleasure e Outside Aloha Pleasure, The Avant Garde Project recupera dal vinile un altro raro album di Henry Kaiser, mai ripubblicato in compact disc: It's a Wonderful Life, del 1984 (era su Metalanguage). Recorded five years after Outside Pleasure, this solo recording reflects both a maturation in conception on the part of Kaiser and an overt broadening of influences. At this point, he no longer felt obliged to remain in Frith/Bailey territory when improvising (although they certainly remained as models), but was free to import aspects of various forms he loved, from rock to Asian string music and beyond. It's also a much more relaxed, expansive set with less of a hermetic air. The title improvisation (all of the pieces are freely improvised) traces an imaginative journey through rolling glissandos, echoed shards of melody, and frenetic stutterings, all bound by an appealingly nostalgic, wistful quality; it's an early highlight in Kaiser's career. This being the mid-'80s, there's the unfortunate though inevitable experimentation with drum machines (on "Let's Drink 100% Healthy Milk and Study Hard!") that one can, with forbearance, overlook. "The Book of Gold" showcases his admiration of Vietnamese string music wedded, as would often be the case in ensuing years, with American acoustic blues. The final track begins sounding like gamelan, drifts off into ethereal violin-like strains, and finally settles into a luscious pedal steel blues. Not released on disc as yet, It's a Wonderful Life may be quite difficult to locate, but is one of Kaiser's very best from relatively early in his development. The Avant Garde Project is a series of 20th-century classical, experimental, and electroacoustic torrents digitized from LPs whose music has in most cases never been released on CD, and so is effectively inaccessible to the vast majority of music listeners today. This is wild stuff, so check it out if you’ve never heard this sort of music before. The analog rig used to extract the sound from the grooves is near state-of-the-art, producing almost none of the tracking distortion or surface noise normally associated with LPs. 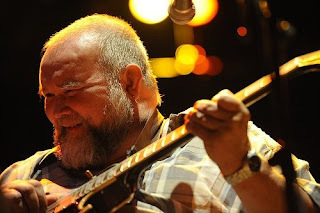 Rattrista la notizia della scomparsa di John Martyn, cantante e chitarrista inglese, adottivo però di Glasgow, caro agli amanti della canzone d'autore per l'originalità e l'ispirazione di alcuni suoi importanti lavori dei primi anni settanta - Stormbringer, Bless the Weather e Solid Air sopra tutti - in esemplare equilibrio tra influenze folk, rock e jazz. Le sue condizioni di salute erano da tempo tutt'altro che buone, ma Martyn teneva ancora parecchi concerti e pubblicava dischi con frequenza: Ain't No Saint, la retrospettiva in 4 cd rilasciata lo scorso settembre in occasione del suo sessantesimo compleanno, è buono spunto per ripercorrerne l'inquieta carriera, ma consigliabili sono soprattutto gli album del periodo più classico, dagli esordi alle produzioni di Joe Boyd fino a Sunday's Child e Live at Leeds, quest'ultimo con il fido Danny Thompson e John Stevens. The Guardian ricorda John Martyn in http://tinyurl.com/brw8mx, mentre in http://tinyurl.com/bw3ro3 si riascolta lo speciale radiofonico dedicatogli per la BBC da Danny Baker. Da Roger Trigaux, Michel Besset e collaboratori giungono notizie a proposito del secondo "Rock In Opposition France Event", dapprima previsto per aprile 2009: il festival si terrà invece dal 18 al 20 settembre, sempre a Carmaux, presso la Maison de la Musique de Cap Découverte, mantenendo quanto più possibile il programma iniziale: Muffins, Magma, Univers Zero, Jannick Top 'Infernal Machina', Charles Hayward, Koenji Hyakkei e altri ancora in via di conferma. 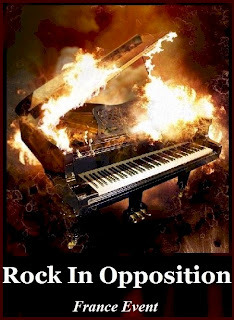 We are proud to officially announce that the next edition of the "Rock In Opposition France Event" will take place on the 18th, 19th and 20th of September 2009. 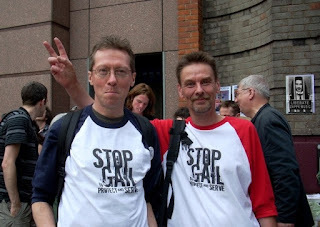 So far as we could, we have maintained the same programme as originally scheduled for April 2009. Unfortunately, Sleepytime Gorilla Museum will not be available at the time. All the other artists have confirmed. Check on the website or on our newsletter for further information regarding the band that will replace Sleepytime Gorilla Museum as well as the online ticket sale. Stay in touch! 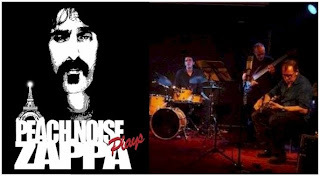 Su http://dailymotion.alice.it/canterburyscene Aymeric Leroy pubblica un paio di estratti video da recenti concerti dedicati alle musiche di Zappa da parte di due gruppi d'area franco-belga e olandese, qui accomunati dalla presenza di Benoît Moerlen a vibrafono e marimba: Peach Noise - Nicolas Mingot (guitar), Léonard Le Cloarec (tenor sax), Philby Brunelli (bass), Benoît Moerlen (MIDI marimba), Charly Doll (drums) - e The Moving Tones: Michel Delville [The Wrong Object] (guitar, guitar-synth), Frank van der Kooij [Hugh Hopper Band] (tenor sax), Catherine Smet (keyboards), Guy Segers [Univers Zéro] (bass), Ivo Sans (drums), e l'ospite, appunto, Benoît Moerlen [Gong] (vibes & marimba). Tra i 'recuperi' più recenti di rarità e materiali non ufficiali in Mutant Sounds ci sono anche le registrazioni di Cassix dal Cantiere Internazionale d'Arte di Montepulciano del 1983 (per 'Un certo discorso' di RadioTre, poi in parte anche su alcuni volumi ReR Quarterly) e due lavori di fine anni ottanta per The Honkies. I titolari di Arf-Society, organizzatori in Germania del festival Zappanale di cui si terrà quest'anno ad agosto la ventesima edizione, vincono in tribunale le cause intentate da Gail Zappa tese a proibir loro l'impiego del nome e del logo della rassegna. Particolari della vicenda giudiziaria e anticipazioni sul programma del festival sono in http://www.arf-society.de e in http://zappanale.de/en/newsletter/yellowshark/zappanale-newsletter-01/2009, dove si legge anche delle ulteriori azioni legali recentemente intraprese da parte della vedova Zappa, questa volta contro Napoleon Murphy Brock e Paul Green School of Rock. Hux Records pubblica Tricks Of The Senses, rarità e inediti del periodo 1966-1972 proposti come una sorta di 'storia alternativa' del gruppo di Mike Heron e Robin Williamson, The Incredible String Band. One of the most engaging groups to emerge from the esoteric 1960s was the Incredible String Band. 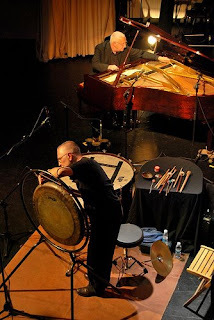 Basically the duo of Mike Heron and Robin Williamson, its sound was comprised of haunting Celtic folk melodies augmented by a variety of Middle Eastern and Asian instruments. Tricks Of The Senses is a double CD compilation of unreleased or rare Incredible String Band material from the Witchseason and Island Records archives, and represents a fascinating alternative history of the band. ISB's Robin Williamson and Mike Heron were fully involved in this project from the start, and were both impressed by the quality of the material that was unearthed. The opening track here, Leadbelly's 'Relax Your Mind', is taken from the band's own 1966 rehearsal tape, and is the source of the earliest surviving two-man ISB material. 'Lover Man' (with Danny Thompson on string bass) is an unreleased song from the band's second album, 5,000 Spirits. 'All Too Much For Me' & 'The Iron Stone' are outtakes from the band's Wee Tam LP. The remainder of disc 1 features previously unreleased recordings from a 1968 US radio session. The second CD starts with 'Penwern', an instrumental which was not used for the 1969 Be Glad film soundtrack for which it was originally recorded. 'El Ratto' & 'Long Long Road' are both previously unreleased recordings from the ISB's 1970 song & dance extravaganza, U, which was performed at London's Roundhouse Theatre. 'All Writ Down' is an alternative stereo version, featuring an additional verse. 'Queen Juanita' is a rare outtake from the band's I Looked Up album issued only on a long-deleted 1976 compilation. 'Poetry Play # 1' is a previously unreleased 1971 recording. 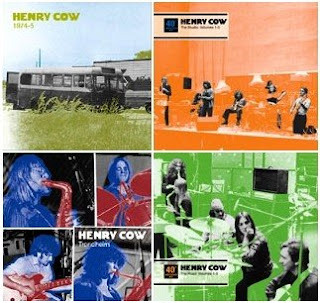 The final two tracks are outtakes from the Earthspan sessions, recorded in 1972. The accompanying 28 page booklet features exhaustive liner notes, including a detailed story about the background to this project. Emanem inaugura per le proprie nuove uscite, così come per quelle dell'etichetta psi, la confezione cartonata 'digipack': i primi titoli del 2009 sono Veryan Weston 'Allusions', Okkyung Lee / Peter Evans / Steve Beresford 'Check For Monsters' e Milo Fine 'Ananke', mentre è in preparazione la riedizione di 'Saxophone Solos' di Evan Parker, celebre album del 1975. Concerto di AMM (Eddie Prévost e John Tilbury) sabato prossimo, 17 gennaio 2009, presso Area Sismica a Ravaldino in Monte (FC). Un cd dello storico gruppo, Trinity, tratto da un concerto di un anno fa con ospite il sassofonista John Butcher, è da poco uscito per Matchless Recordings. 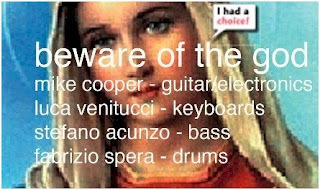 Mike Cooper presenta a Roma un nuovo quartetto di improvvisazione, Beware of the God, assieme a Luca Venitucci, Stefano Acunzo e Fabrizio Spera. 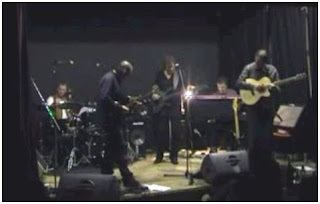 In concerto stasera alle 22.00 presso Il Cantiere (via Gustavo Modena 92, tel 06 5899858) a cura di Iato-Incontri di musiche non ortodosse. un brano preparato per il Natale appena trascorso, oltre a un estratto da Pacific Voyager, una delle sue molte produzioni su Hipshot, in occasione del decennale dell'etichetta da lui gestita. Fan capolino in Continuo's weblog le musiche di Maze 1066, una registrazione bolognese del 1981 effettuata in trio - con Alessandro Achilli e Paolo Chang era anche Giovanni Di Simone - pubblicata su audiocassetta nel 1985 dall'etichetta Multiple Configuration. Un'epifania! 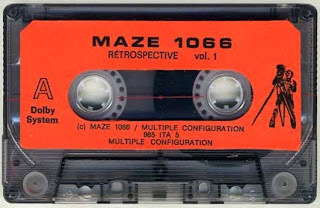 Maze 1066 started as the trio of Giovanni Di Simone, Paolo Chang and Alessandro Achilli, before turning to a duo (minus Di Simone) circa 1985. Their unique cassette album was released on Italian label Multiple Configuration ran by Roberto Marinelli (aka Laxative Souls/LXSS), specializing in post-industrial rock and experimental Italian artists like Tasaday, T.A.C. or Luca Miti. Maze 1066’s music blends sparse guitar parts, musique concrète sounds and strange electronics/synth, and is comparable to Biota for the recording quality obsession, the brilliant if somewhat muffled guitar parts, as well as the mysterious, even surrealist mixing technique. The bass guitar parts especially reminds ‘Rackabones & Vagabones’ (1985) and coincidentally the first Mnemonists LP appeared the same year as this cassette. The music on 'Rétrospective vol.1' embarks echoing chimes, soft bass guitar, weird synth touches, unidentified noises and is claimed to be live improvisation without overdubs or even post-production. A track like ‘H-block’ is obviously collective electro-acoustic improvised music and is clearly the model for a band like My Cat Is An Alien today. Maze 1066 really stands out from the average cassette releases of the era for its outstanding musicianship and top-of-the-art mix. For over 20 years, Cheer-Accident have been a creative, interesting force in rock music. They constantly strive to surprise their audience and themselves with constant reinvention. Fear Draws Misfortune is their 16th release and arguably their best and also the album which strives the furthest towards a powerful balance between personalized and unique studio techniques and the excitment of a visceral, live, well-honed rock band. Which is saying something. 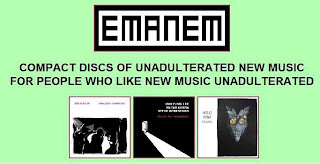 It is a strongly compelling and high-reaching album that uses a wide variety of ideas, styles and studio techniques, resulting in a cohesive and ambitious album of art-rock. The basic band is a trio who between them perform on vocals, keyboards, trumpets guitars, bass and drums, but they are augmented by 15 additional musicians who, each in their own way, bring their own musical gifts to the album. Fear Draws Misfortune reveals a fortuitous intersection of between Cuneiform and Cheer-Accident, both of whom have long admired the other and both of whom finally decided to do something about it! This long overdue marriage, which neatly coincides with a timely (and quite lengthy) cover-feature article in December 2008's Signal To Noise magazine, promises to hurl Cheer-Accident into into wider recognition. Captain Beefheart's music is the quintessential 'outsider art music' of the second half of the 20th century. Despite the fact that he retired from music over 25 years ago, his music resonates more strongly than ever as an influence on contemporary music. Fast 'n' Bulbous offer a unique slant on the songbook of one of contemporary music's most idiosyncratic musical figures. The band features seven great, well-regarded musicians drawn from the rock and the jazz worlds: co-leaders guitarist Gary Lucas (who was in the final incarnation of Beefheart's Magic Band) and saxist/arranger Phillip Johnston (of the Microscopic Septet) as well as drummer Richard Dworkin, and baritone saxist Dave Sewelson (both also of the Micros), trombonist Joe Fieldler (Ed Palermo Big Band and Satoko Fujii's big band), bassist Jesse Krakow (of Time of Orchids and Doctor Nerve) and trumpeter Rob Heinke (also of Doctor Nerve). With a strong, creative line-up like this, you know that you will be getting something more than just a 'cover band' and you indeed are. Heartfelt, exciting and it both rocks and swings! Drummer and composer Patrick Forgas has been releasing jazz-rock gems that showcase his compositional and and arranging skills for over 30 years. Axis of Madness (L'Axe du Fou) is the fourth album by his current band; a 7-piece instrumental ensemble of skillful young musicians, performing on saxes/flute, trumpet/flugelhorn, violin, guitar, keyboards, bass and drums. The group play music that combines the most attractive aspects of jazz and rock composition with inspired solos. The quality of the music and performances is obvious from the first note and we're pleased that it isn't only us who noticed; press has been unbelievably enthusiastic towards this group's music! Destroying walls between art-rock, avant-squonk, jazz-core and beyond, the decade-old New York quartet Gutbucket is not only equally comfortable playing in front of 900 sweatily pogo-ing teenage skate-punks, a crowd of cosmic indie-psych freaks, on an anarchist German art collective's house-boat or even teaching master classes in the music departments of schools around the country, but most importantly, their music fits right in. A Modest Proposal solidifies Gutbucket's place at the forefront of a revitalized avant-garde music scene in New York, where sparkling new venues pack in 20-somethings at Steve Reich gigs and Bang on a Can's all-night music marathons draw crowds for Stockhausen at Sunrise. The band has spent the past 10 years injecting a shot of exuberance into the minimalist cool of the New York downtown scene. The group attacks their music with the ferocity usually reserved for punk, and the humorous abstraction of art-rock, despite having earned their jazz bona fides. Founded by bassist Eric Rockwin, saxophonist Ken Thomson, guitarist Ty Citerman, and drummer Paul Chuffo, Gutbucket built their all-important live reputation in New York clubs before spreading across east coast college towns. Trips to Europe soon followed, with over a dozen tours in 19 countries taken to date. Joined in 2007 by longtime friend Adam D Gold on drums following Chuffo's departure, Gold's musical voice was quickly deemed a necessity. A close friend, he's also good for van conversation. Which is good. 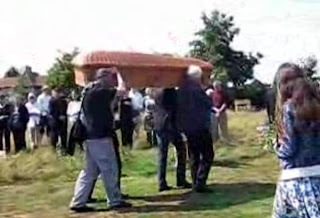 Because there are miles to go before Gutbucket sleeps! Founding members of the Rock In Opposition movement, Univers Zero have continued to change and grow and develop over their entire career, while still keeping a ensemble sound and spirit that is easily recognizable. Relaps presents something that Univers Zero's fans have been hoping for for decades; a peek into the recorded archives of one of the greatest avant-rock ensembles since mid 1970s! This CD documents the final 1980s line-ups of Univers Zéro before the band's long sabbatical from recording and touring. The live sound is excellent throughout and the CD features a 16 page booklet with a informative history of the band during this time period as well as rare, never-seen photos. The line-ups featured on Relaps are the quintet who recorded UZED and the septet who recorded Heatwave. The material is drawn from those two albums, with the live setting providing some different arrangements and even greater fire to the pieces; I found the pieces taken from Heatwave to be particularly inspiring and outrageous. There is also a short, otherwise unheard composition included here. While UZ continue to play truely awesome gigs and develop the material that will be found on their next studio album, Relaps provides a chance for the listener to catch up with some never-released and exciting recordings from a truly classic band! "...occupying a unique niche all by itself. 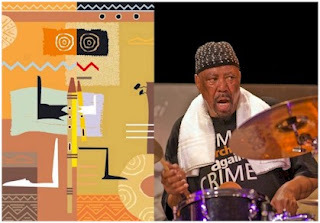 Radiotre Suite Jazz mette in onda lunedì prossimo 5 gennaio 2009 alle ore 20.30 il concerto di Viva La Black con Keith e Julie Tippett, Louis Moholo e la Minafric Orchestra diretta da Pino Minafra tenuto lo scorso settembre a Sant’Anna Arresi per il festival Ai confini tra Sardegna e Jazz 2008.